Note: “I tend to write fast and revise heavily, and I cut liberally. 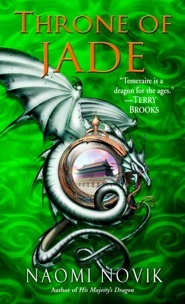 But when I cut anything longer than a line or two (and sometimes those if it’s one I particularly like), I generally put it into a separate file to save—the “cut” file for Throne of Jade is more than 30,000 words—and I thought I would share a few of these as “deleted scenes” along the lines of DVD extras. The Allegiance had subtly let a reef out of her topsails, to catch a little additional wind, and Riley’s coxswain was drooping over the wheel with elaborate play-acted fatigue, letting her bow drift gradually to leeward. A sudden glow of fire rose; looking down from the dragondeck, Laurence could see that it was only a bundle of old rope in the bottom of a barrel, with three men ready with buckets to douse it if need be, but it produced a prodigious amount of smoke and some handsome leaping flames; any more distant observer would have thought fire had broken out on the deck. The crew grew noisy, shouting and bustling about, working with all their might to pay no mind to the oncoming boarders, as if the fire had cast them into confusion. The enemy frigate was coming on fast, but her guns did not speak; instead they heard the heavy ringing of grapples sinking into the wood, and men came swarming up the back and sides from the surrounding boats. The frigate was almost abreast now, her decks crammed with men ready to leap over and aid in the fight, and the British riflemen and Marines above were already engaged in trying to keep the Fleur-de-Nuit off them; she had begun to dive lower, a constant threat demanding their attention and keeping their fire off the boarders. Now the cry of “Fire!” came at last from below, and the Allegiance‘s carronades fired all at once. The first noise of the guns died away, followed by the long clattering rain of splinters falling back to the decks. But despite the devastating broadside, the frigate still shuddered and crept closer, scraping with a horrible shrieking noise against the Allegiance. Some men risked the leap across between the decks and joined the fight even as a handful of the guns fired again, beating against the frigate’s hull. Beyond the haze of smoke that lay between the ships, men on the other deck were raising muskets, aiming at Temeraire from the side. “Granby!” Laurence shouted, pointing; he was standing braced against the balustrade which stood along the edge of the dragondeck and could not run to the larboard rail himself; Granby and two of the bellmen jumped to the rail and fired off pistols, reloading quick as they could. Temeraire stirred again at the noise of the pistols so close by; he raised his head up, snorting and blinking. “Temeraire, stay down, I beg you,” Laurence said at once, but even as he spoke, a shot rang out and Granby staggered, a dark stain spreading over his shirt: he was still not wearing a coat. Temeraire saw him fall and roared with anger, heaving to his feet. The gap between the two ships was still very narrow and the French shooters were standing at the very rail of the frigate; Temeraire reached out across the space and struck down a half-dozen men with one blow of his foreleg, crushing two into the deck and slashing the others with his immense talons. The other men scattered in a panic away as he struck again, dropping their muskets. They would regroup in a moment, or any man with a pistol on their deck might hurt Temeraire badly, but he was clearly in too great a rage to desist, beating away at the deck of the frigate to little effect. Laurence staggered awkwardly to his side, lay a hand on him. “The rigging, Temeraire; see if you cannot cut those cables,” he shouted, urgently, and this far at least Temeraire obeyed, seizing the thick, thrice-laid ropes in his forelegs and dragging them towards himself: the whole frigate leaned alarmingly, her masts creaking. He set the ropes against the serrated edges of his teeth and they parted; the yards of her sails spun wildly, and the mainmast wobbled about like a top. There was a great deal of shouting and alarm on the French deck; the man at the wheel put it sharply over, and she yawed away from them, the remaining cables in Temeraire’s grasp going taut and stretching with the strain. “Let them loose, Temeraire, and get down; quickly, now, so we can get Granby under cover,” Laurence said; this appeal, which he felt somewhat guilty at making, at least was successful, and Temeraire let the remaining cables go. The frigate sprang away as if loosed from a bow, swaying about drunkenly, and Temeraire dropped back down to the deck, gasping and hunching his shoulders forward over the wound. Laurence went to him, looking with anxiety at the bandages over Temeraire’s chest, now soaked through and stained; Temeraire did not complain, but pressed his muzzle against Laurence’s hand. “Granby is not dead?” Temeraire said softly, unhappily. 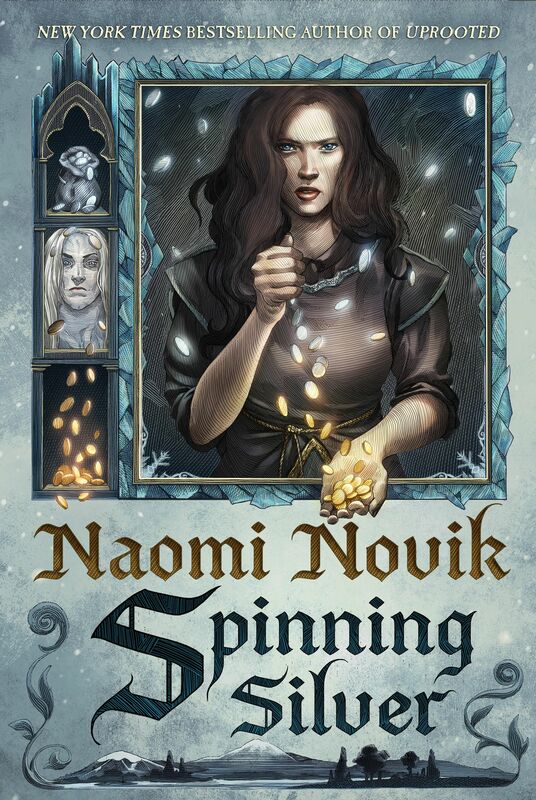 “I am all right, only tie it up,” Granby said, panting doglike; the bellmen, Salyer and Therrows, had dragged him away from the rail, to a more sheltered place closer to the middle of the dragondeck. Keynes was already kneeling by him, ripping his shirt. Laurence sent Salyer and Therrows to carry Granby below, ignoring his protests, and looked for Evans, his second lieutenant. Without success: the battle was spreading across the deck now, and as the frigate had drifted out of range, the men from the gun crews now came boiling up from below, stinking of pitch and sulfur, with their faces blackened by smoke, yelling all the louder for their hearing having been deadened by the roar of the guns. All the deck was a great confusion, a heaving mass of men, sweat-greased skin shining under the lanterns, faces blurred by the absence of light. Strangely quiet, now that the guns had fallen silent on both sides; pistols spent, they were at sword-work now, except still for the occasional crack of rifle-fire from aloft.